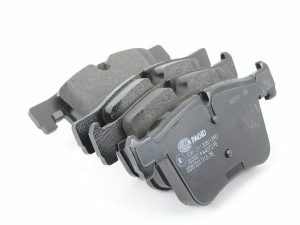 Z17 Evolution Plus brake pads are engineered for noise free braking with dual rubber backed shims that offer 6 times more noise reduction than plain steel shims. The pad surfaces are thermal scorched for fast break-in. 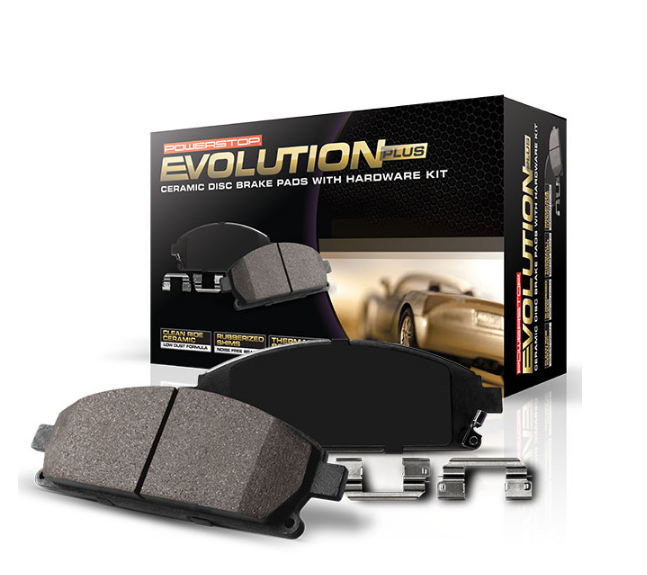 Evolution pads feature a true ceramic formula that keeps wheels cleaner, and won’t wear-out the rotors. 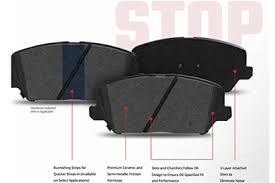 Power Stop pads have 20% more stopping power than other leading brands. 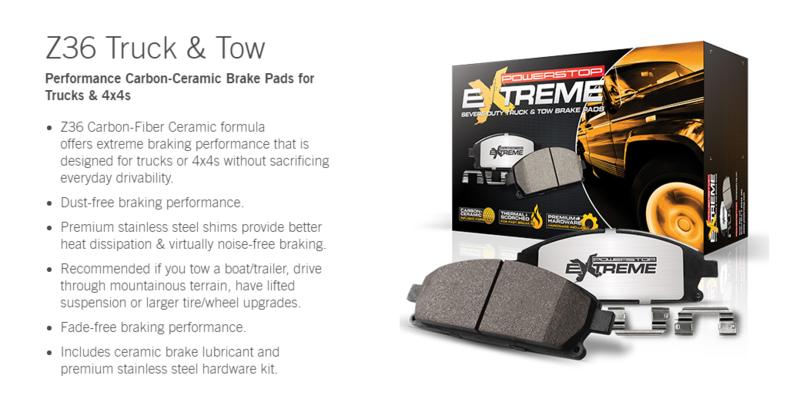 The premium ceramic compound is made using OE positive mold technology, that assures a uniform friction density throughout the pad and this helps control noise and premature wear. 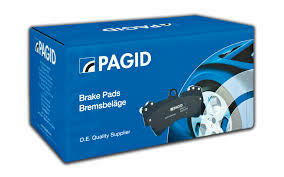 Evolution pads are manufactured under TS16949 standards to OEM specifications including chamfers and slots. 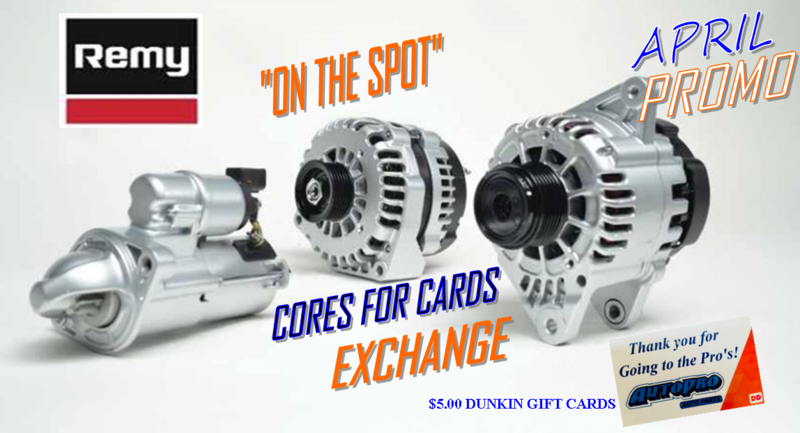 Every Z17 Evolution Plus brake pad come with application specific brake hardware kits which include stainless steel abutment clips (where applicable) anti-rattle hardware clips, piston clips or bushings and sleeves as required for installation. 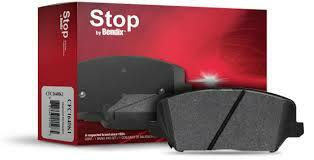 Stop by Bendix™ is the complete offering of brake pads, rotors and drums that covers 99% of vehicles in North America. 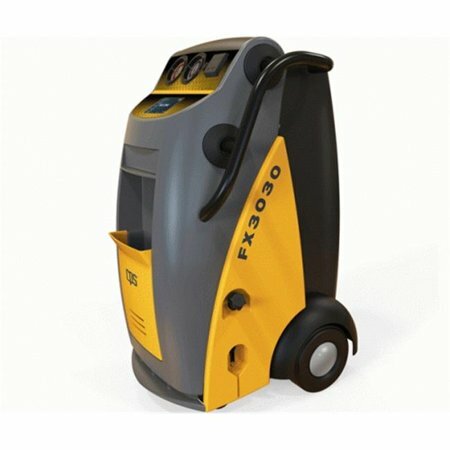 Designed to meet OE specifications for fit, form and function to provide safe, consistent and reliable performance.